Looking to move to the latino beat while in Barcelona? Salsa dancing is an excellent way to learn some hot new steps, be active and make the most of your Barcelona nightlife experience in one go! Salsa first got its name in New York in the 1970s, but is rooted within influences from Latin American countries such as Cuba, Puerto Rico, and Colombia. Much like the sauce, salsa is made up a flavorful blend of different musical styles such as Rhumba, Són Montuno, Guaracha, and Mambo. But here in Spain, it’s the Cuban “casino” style that has gained popularity, competing with Spanish flamenco. Today, there are many places in Barcelona where you can learn how to salsa dance, some are even free. So we’ve hand-picked some of the best places in town to shuffle your feet! Salsa and Bachata Nights Barcelona are a series of weekly dance classes in English held at 7Sins bar and Latin Room Cocktail bar, some of which are free. 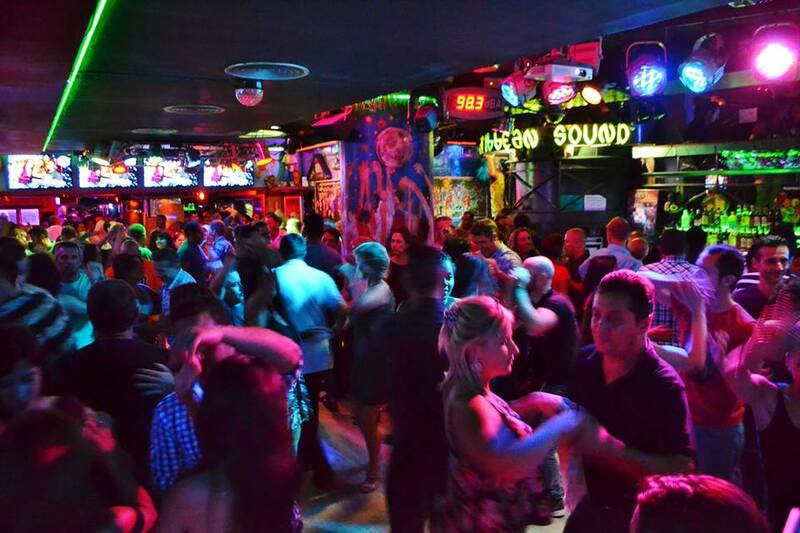 This is the perfect environment for English-speaking tourists and residents that are just starting out and want to learn the basics of salsa dance in Barcelona as well as bachata, a popular dance from the Dominican Republic. Salsa and Bachata Nights Barcelona are located at the heart of the city, which makes getting there by public transport very convenient. Take a look at their Facebook page for an up-to-date schedule. Opened in 1993, Antilla Club is considered the oldest “salsoteca” in Barcelona. Located within the center of the city, this place offers free dance lessons to all experience levels, workshops and performances. Admission ranges from free to around 10€ (including one free drink) depending on the event. Once you have mastered some cool moves, head on to the dance floor to test them out! Get together with a group of fellow beginners, novices, and experts and dance the night away at some of the best clubs in Barcelona. Meetup is a website/app that helps people find groups to join and meet based on particular hobbies and interests. There are many groups to choose from, but one to look out for is Salsa Barcelona, a community solely dedicated to helping you learn salsa for free! Salsa Barcelona hosts tapas and salsa evenings, classes, and a wide range of other salsa-related events – but keep in mind you’ll need a bit of Spanish knowledge for this one! 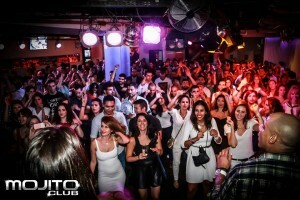 One of the most popular salsa clubs in Barcelona, Mojito Club is the place to show off what you know. 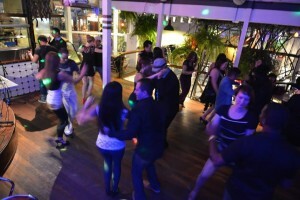 Thursday and Sunday nights, they play pure salsa and bachata with Sunday nights featuring a live orchestra from Cuba while Friday and Saturday nights feature international Latin music. Want to pick up some more steps? Mojito Club offers salsa classes six days a week with a fun and friendly professional staff to cater to students of all experience levels, no partner needed! Since Mojito Club’s busiest nights are Fridays and Saturdays, there is an entrance fee (cost varies depending on days and time of entry). This entry was posted in Activities, Bars & Nightlife, Home, Tourist Guide and tagged activities barcelona, barcelona bars, barcelona clubs, barcelona events, barcelona nightlife. Bookmark the permalink. I love Salsa . Thank You for sharing this type of information.